I love this cleanser! 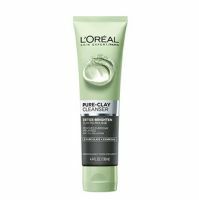 It's got a light, fresh scent, foams nicely and leaves my skin very clean and soft. It also does a nice job of taking off my makeup. I've noticed after repeated use that my complexion is clearer and my skin less oily. This is a great drugstore find!